Through membership, donations, and fundraising events, Friends of the Heart Institute is committed to ensuring patients and their loved ones have access to the very best heart and vascular care close to home. Friends is a nationally-recognized, award-winning, all-volunteer organization consisting of dedicated community members, caregivers, and Doylestown Health associates who are committed to advancing the highest quality heart and vascular care to patients and their families. The Friends Steering Committee meets several times each year to organize its membership drive, annual meeting and fundraising events. Once a year the Friends Allocation Committee (consisting of the Friends Steering Committee, Lifetime Members, and Doylestown Hospital Cardiologists, and Heart and Vascular Surgeons) meets to determine the distribution of funds to Doylestown Hospital and other community and patient-benefiting efforts. Highlight volunteers services that are engaged in improving health care. Friends of the Heart Institute began as the the $100 Heart Club when Herman Silverman, the driving force behind establishing this group, was joined by Bruce Applestein, MD, Elmer Cates, Frank Galinski, John Knoell, and Joseph F.X. 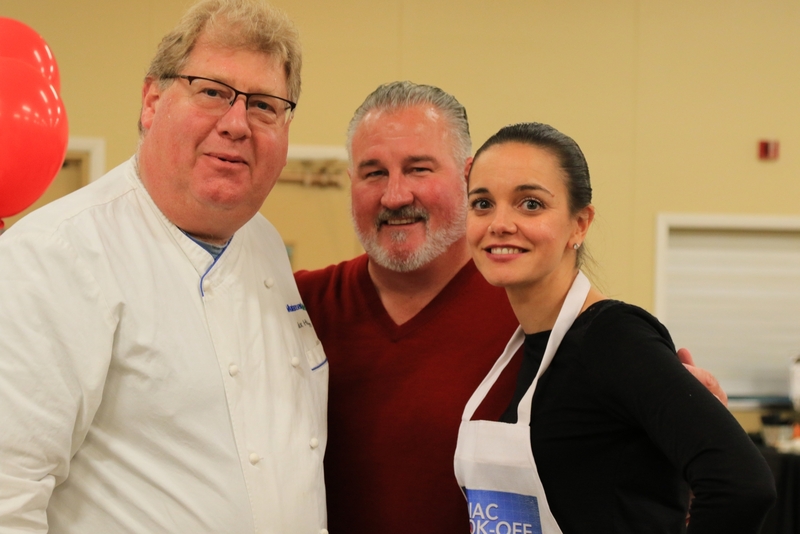 McGarvey, Sr., MD to raise funds vital to launching a much-needed heart program at Doylestown Hospital. Since then, Friends has raised several million dollars for the advancement of heart and vascular care. Friends is committed to the future of heart and vascular care at Doylestown Hospital. In 2017 Friends committed to a five-year $1 million fundraising goal in support of the renovation and expansion of heart and vascular facilities, services, and programs at Doylestown Health. Over the next four years all membership contributions, donations and event proceeds will be directed to this exciting and transformational initiative. Friends remains steadfast in its support of the health and well-being of those who choose Doylestown Health for heart care. Friends provides significant funding for much-needed facilities and equipment at Doylestown Hospital to ensure that the highest-quality care can be made available. For example, Friends supports the continuum of patient care by funding 100% of the patient-friendly exercise equipment used for cardiac rehabilitation. 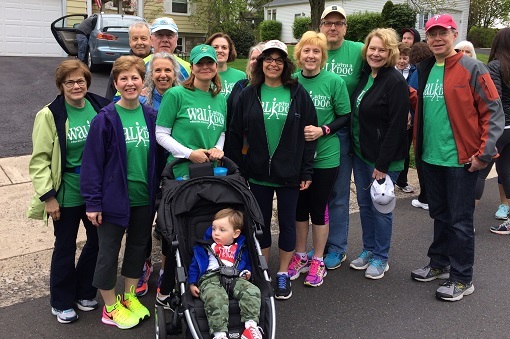 Friends is proud to fund Walk With A Doc, a nationally-recognized exercise program, which encourages physical activity and camaraderie for the local community. These walks are held monthly and an informative health presentation precedes each walk. 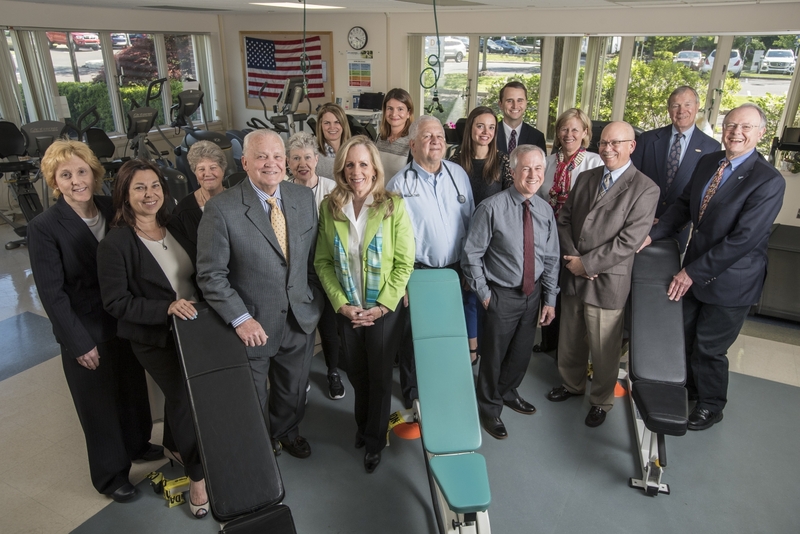 Friends also supports the continuum of patient care by funding 100% of the patient-friendly exercise equipment used for cardiac rehabilitation while also sustaining the funding necessary to support Doylestown Health continuing education and training. 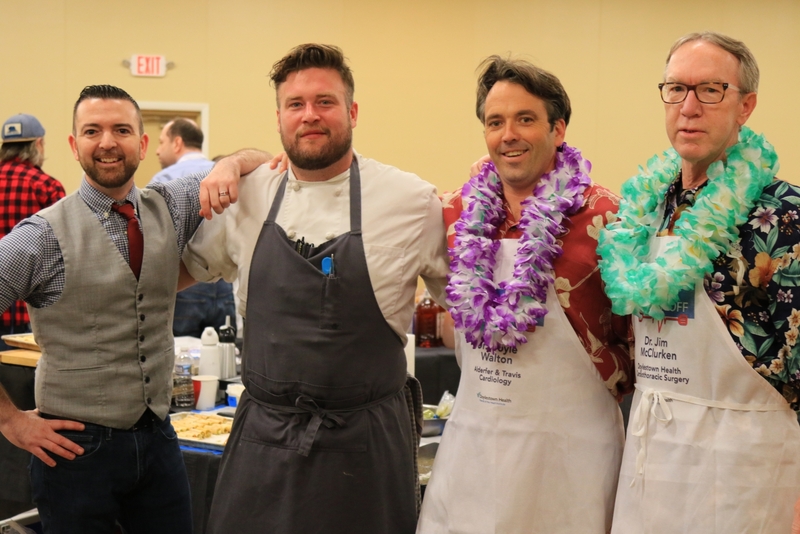 Friends holds several events including a Spring Brunch, Friends Fever, and Cardiac Cook-Off. 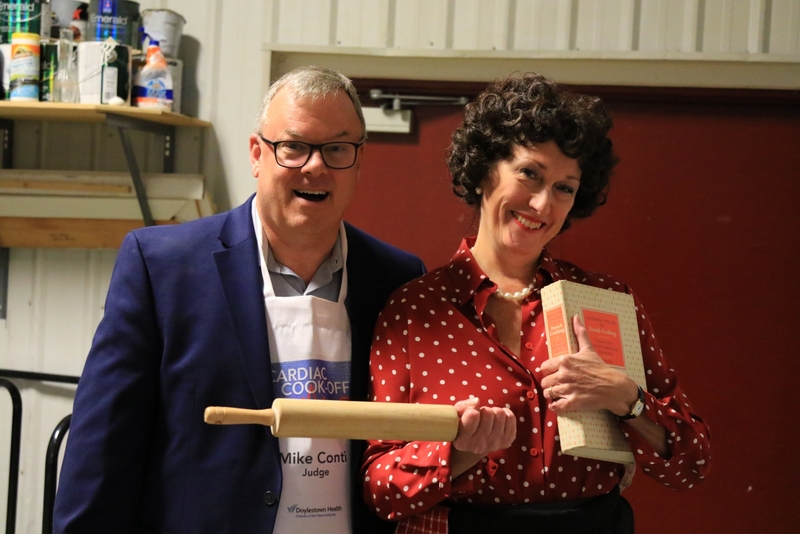 These events are both fundraisers and fun social gatherings for those who are interested in supporting the the Heart Institute. Joyce and Robert L. Byers, Sr.
Jean and James Clark, Jr. Cornerstone Health and Fitness L. P.
Steve W. Day, Jr., Esq. Comprised of members of the Friends Steering Committee, Lifetime Members, Doylestown Health cardiologists, cardiothoracic surgeons and vascular surgeons, Friends of the Heart Institute Allocations Committee meets annually to determine how donated funds from the previous year will be distributed to provide a meaningful impact to the top priorities of the Heart Institute.